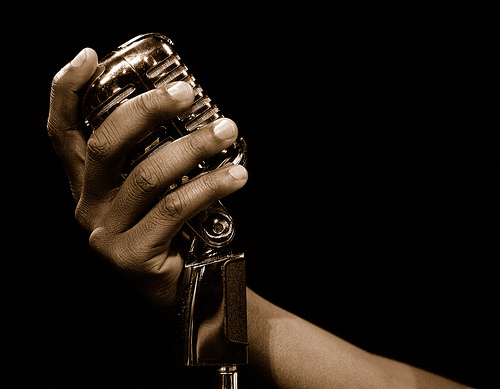 This LibGuide is designed to help students taking the History of Jazz course (Music 0711) find resources related to the course. The links below will take you to legal streaming music databases. You can send links to many recordings directly to your mobile device, and you can create playlists in the database to save songs you want to listen to further. Jazz Music Library is the largest and most comprehensive collection of streaming jazz available online — with thousands of jazz artists, ensembles, albums, and genres. Smithsonian Global Sound for Libraries includes many styles of music that served as precursors to jazz. It is produced in partnership with Smithsonian Folkways Recordings and is a virtual encyclopedia of the world's musical and aural traditions. Music Online allows users to search all of the music databases published by Alexander Street Press at once. Jazz Music Library and Smithsonian Global Sound are both included in this search engine. Here's a sample of the Required Listening recordings for the class. A binder with the full list of CDs and LPs is available in the Music Library. Disc one: Medley: Flee as a bird to the mountain ; Oh, did't he ramble--Medley: Memphis blues ; Frankie and Johnny ; Tiger rag--Do you know what it means to miss New Orleans--Basin Street blues--Black and blue--On the sunny side of the street--Struttin' with some barbecue--When it's sleepy time down south--Medley: Manhattan ; When it's sleepy time down south--Indiana--The gypsy--The faithful hussar. Stompin' at the Savoy--Margie--Big mama's back in town--That's my desire--Ko Ko Mo (I love you so)--When the saints go marching in--The star spangled banner. Maple leaf rag : 1899 (3:13)--The entertainer : a ragtime two-step : 1903 (4:58)--The ragtime dance : 1906 (3:13)--Gladiolus rag : 1907 (4:24)--Fig leaf rag : 1908 (4:36)--Scott Joplin's new rag : 1912 (3:07)--Euphonic sounds : a syncopated novelty : 1909 (3:53)--Elite syncopations : 1902 (2:56)--Bethena : a concert waltz : 1905 (5:16)--Paragon rag : 1909 (3:45)--Solace : a Mexican serenade : 1909 (6:40)--Pine apple rag : 1908 (3:26)--Weeping willow : a ragtime two-step : 1903 (4:19)--The cascades : a rag : 1904 (3:03)--Country club : ragtime two-step : 1909 (4:54)--Stoptime rag : 1910 (2:52)--Magnetic rag : syncopations classiques : 1914 (5:11). Pure religion (4:17)--Mountain Jack (3:28)--Right now (2:55)--Buck dance (2:50)--Candy man (2:32)--Devil's dream (1:57)--Moon goes down (4:44)--Cocaine blues (2:38)--Runnin' to the judgment (3:51)--Hesitation blues (3:17)--Bad company (3:50)--I didn't want to join the band (3:06)--Evening sun goes down (3:28)--Seven sisters (2:58)--My heart is fixed (2:05)--Time is drawing near (2:48)--Crucifixion (7:49). Dear, on a night like this--There's a rickety rackety shack (by a rickety rockety road)--Sorry--King Porter Stomp--"D" natural blues--Oh, baby!--Feelin' good--I'm feelin' devillish (oh by golly oh)--Hop off--Old black Joe's blues--Come on, baby!--Easy money--Freeze and melt--Raisin' the roof--Blazin'--The wang-wang blues--Chinatown, my Chinatown--Somebody loves me--Keep a song in your soul--What good am I without you?--I've found what I wanted in you--My gal Sal--My pretty girl. Take the A train (5:05)--Paris blues (5:42)--The nutcracker suite overture (3:35)--Tenderly (3:35)--Such sweet thunder (3:17)--Medley. Black and tan fantasy ; Creole love call ; The mooche (7:42)--Satin doll (4:30)--All of me (2:36)--Jeep's blues (3:35)--Laura (3:42)--Dance of the floreadores (4:50)--I got it bad and that ain't good (3:38)--Just squeeze me (1:28)--It don't mean a thing if it ain't got that swing (1:52)--Pretty and the wolf (2:43)--Diminuendo and crescendo in blue (9:29). On the Ginza / Wayne Shorter (8:50)--Feeling good / Kenny Garrett (8:11)--Minor's holiday / Kenny Dorham (6:40)--Second thoughts / Mulgrew Miller (7:38)--Caravan / Ellington, Mills, Tizol (13:38)--Crooked smile / Jean Toussaint (8:04)--One by one / Wayne Shorter (10:04)--Obsession / Wallace Roney (7:04). Chameleon -- Watermelon man -- Sly -- Vein melter. Access to full-text library resources from off-campus is easy! 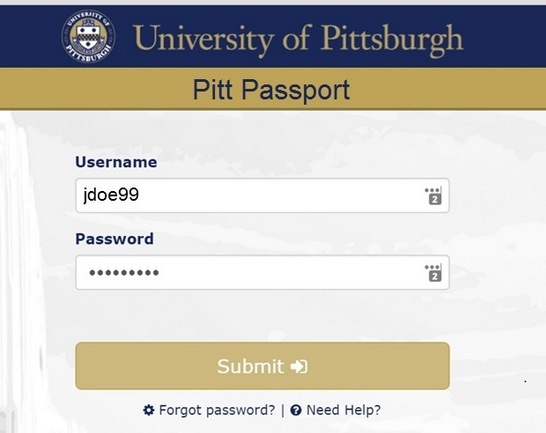 Search as you normally do, click on the link to full-text, log in with your Pitt email login and password, and you're good to go for your entire searching session! Access will work best if you stay in the same browser. Having trouble accessing resources from off-campus?